Graeme Dott produced a dogged display to beat Mark Selby 17-14 and reach his third World Championship final. The Scot resumed their final session 14-10 up but Selby, 26, won the first three frames including breaks of 79 and 83 to give himself hope of a revival. But 2006 champion Dott dug in with a fine 67 as he ground out the last two frames to finally battle through. The gritty 32-year-old will meet Neil Robertson in the final after the Aussie earlier defeated Ali Carter 17-12. Having dropped to 48 in the world rankings last year, and been diagnosed with depression, it is a remarkable turnaround for Dott who is now guaranteed a top-16 spot next season following his Crucible efforts. 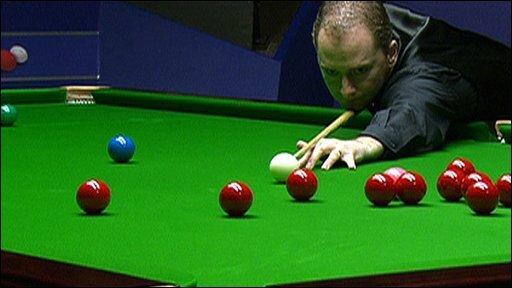 Dott will be aiming to lift his second world crown after beating Peter Ebdon 18-14 in a marathon final four years ago. He also tasted defeat in the 2004 final to Ronnie O'Sullivan. "I feel relieved more than anything," said Dott. "I had loads of doubts. I have the utmost respect for Mark and I was really struggling with my rhythm. "I'm playing better than I did in 2006. Tonight was a major struggle. 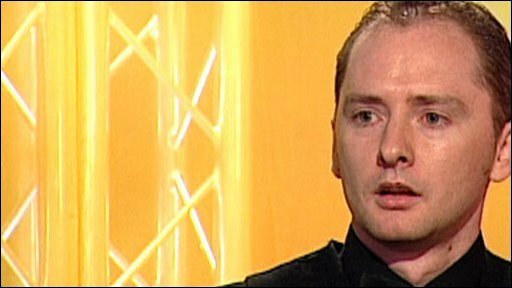 But it's unbelievable - it's been a massive circle, thinking my career was over and now I'm back on TV and at the Crucible. I've been buzzing through the whole tournament." While Masters champion Selby showed occasional sparks, with a 142 at the end of the first session, his fluency was largely stifled. The 'Jester from Leicester' trailed 5-3 and 10-6 after the first two sessions respectively, before winning three out of the first four frames on Saturday morning to get back to 11-10 down. But Dott's solid potting and tenacity kept him on a tight leash. 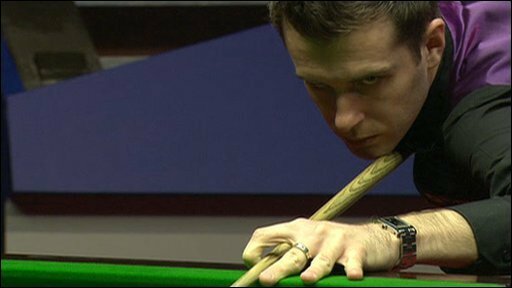 The Scot won the morning's last three frames to leave him starting the final session at 14-10, needing only three for victory. He began with a 37 break, only to see his opponent come through with a 46 and grab a much-needed boost at the start of the evening. Dott blew another lead as a 79 from Selby made it 14-12 and the pressure was fully cranked up with the deficit reduced to just one as Selby, the 2007 runner-up, rattled in a smooth 83. With the stakes so high, both players struggled to settle into their free-flowing game as defensive tactics continued to dominate. Despite Selby's persistence, the Scot dug in and a fine 67 dragged him clear again. A 48 had Selby storming back yet again but the Larkhall-based star showed strong nerves to come through the next frame to sense a famous victory. Selby trailed 66-18 in the 30th frame and had a great chance to get back in it but the black wobbled in the jaws and his hopes of emulating his comeback against Ronnie O'Sullivan in the quarter-finals disappeared. "I didn't feel part of the match all the way through," said Selby. "Every time I made a mistake he punished me - he probably deserved to win. If Graeme plays as well as he did against me then he will go on to win." 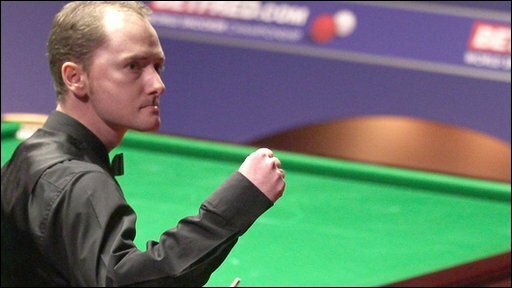 It was a late finish after an intriguing battle, but still two hours short of the time Dott concluded his turgid final victory over Ebdon in 2006.